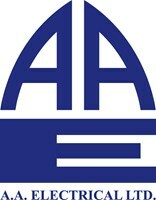 AA Electrical - Alarms/Security, Electrician based in Martlesham, Suffolk. OVER 25 YEARS' EXPERIENCE... A A Electrical was established in 1991, working for individual domestic customers, commercial companies, shops, letting agents, farms and factories. Based in Martlesham, Suffolk and covering East Anglia and the surrounding areas, we are proud to offer a service based upon vast experience in the electrical service industry. We pride ourselves on striving to always do our very best to assist our customers as much as possible, and this includes price. We can work to your individual needs and provide an hourly rate or a fixed price for each job, dependent upon your requirements. Our company supports existing and new customers, be they domestic, commercial or industrial clients with assistance consistently available 24 hours a day. And, if you’re still unsure, we will provide a FREE quote as well as being extremely happy to provide advice and ideas on any electrical issues that may arise. To discuss how A A Electrical can help with your needs, get in contact today.